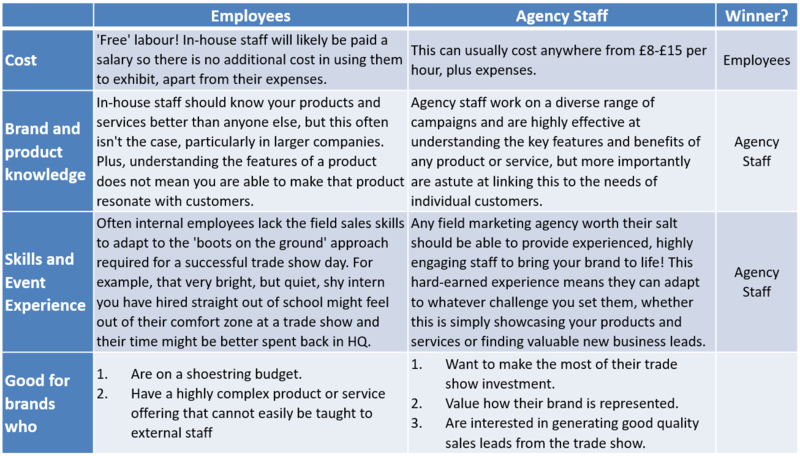 Employees vs Agency Staff: Who to Use at Your Trade Show Stand? 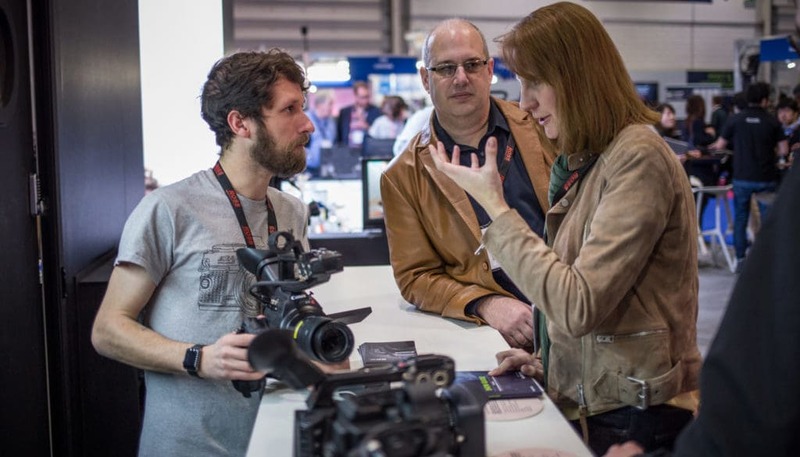 Despite ever more options available for the astute marketing manager, businesses of all types are still reaping the benefits of showcasing their products at trade shows. However, liaising with the trade show provider, creating your stand and ensuring your products and services are on display is enough to give anyone a headache. This can mean the most crucial ingredient is not given the attention it deserves, your brand ambassadors. 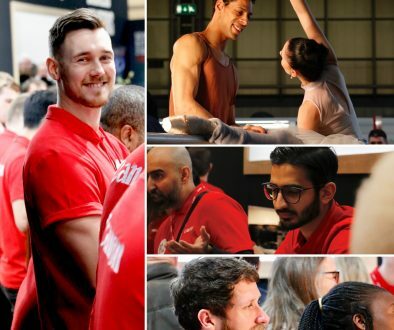 No matter how beautiful or well organised your trade show exhibition is, the day will be far less productive without highly skilled staff representing your brand and collecting vital customer information. To quote Canadian entrepreneur Evan Carmichael, “People buy from people, not companies. So get personal”. Anyone can understand the basics of what your business offers through a quick Google search, but trade show attendees are there to talk with your people about your brand and your products, so make sure you invest in all three. This leaves businesses with a crucial decision. Who should they use, in-house employees or external agency staff? As you might expect, the answer is not always straightforward and will vary depending upon your business requirements. However, we believe that using experienced agency staff will give your business confidence that your trade show goals will be achieved and your brand message will be consistently portrayed by experienced trade show experts. If you are convinced that using agency staff is the correct route, how do you go about choosing the right one? What is the length and depth of their experience? Are they truly the experts they claim to be? Every trade show, every brand and every year will be different and you want to be sure they can handle whatever is thrown at them. Do they employ generalists or specialists? There is nothing more worrying when a brand ambassador is representing an FMCG brand on a Monday, a sports brand on a Tuesday and a technology brand on a Wednesday. Agencies that work in specific industry sectors will have a broad pool of relevant talent to draw from. This in-depth industry knowledge gives you confidence that each brand ambassador will truly understand your product or service and how it fits into the wider industry, rather than simply learning a sales script. 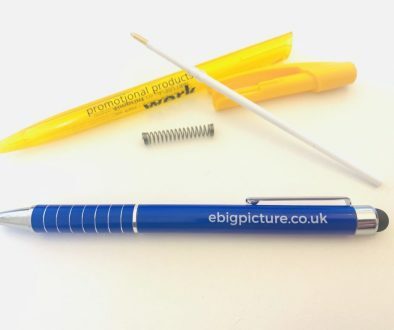 At Big Picture we have been supporting customers at trade shows for over 20 years exclusively in the consumer electronics industry. 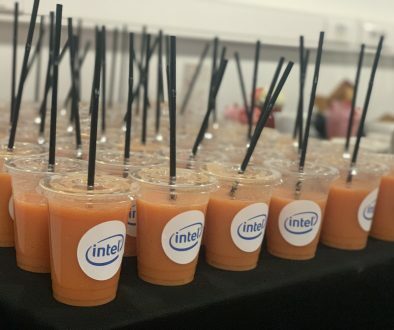 This means our staff work with technology day-in, day-out and are not daunted by complexity, but above all can hold their own when talking with senior IT managers looking to work with your brand.